At the London-Heathrow airport I joined a group of fifteen Canadian students to embark on the Reflections on Rwanda program, a two week trip to study the 1994 genocide. After eighteen hours in flight and three days of travel, we arrived in Kigali. 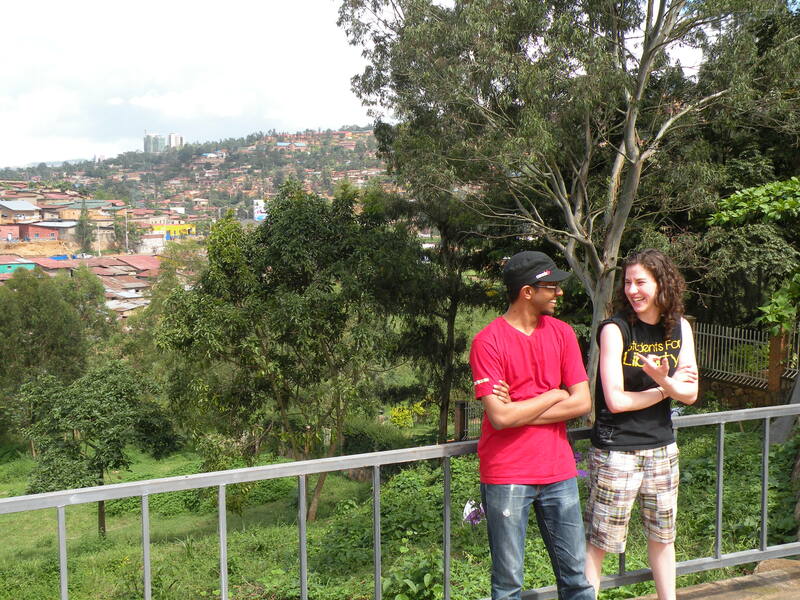 The Reflections on Rwanda program is a grassroots, student-initiated, and student-led trip. It was inspired by the March of Remembrance and Hope, a Holocaust study trip to Germany and Poland. This is the two year anniversary of my participation in the Holocaust trip and so it is exciting to be commemorating that by traveling on a different, yet related adventure to Africa. It was an amazing experience standing outside of the airport under the hot sun, in the gentle rain, with a keen sense of the smell of a new place combined with a sense of gratitude, of “happiness doubled by wonder.” Arriving across the world seemed a miraculous accomplishment. 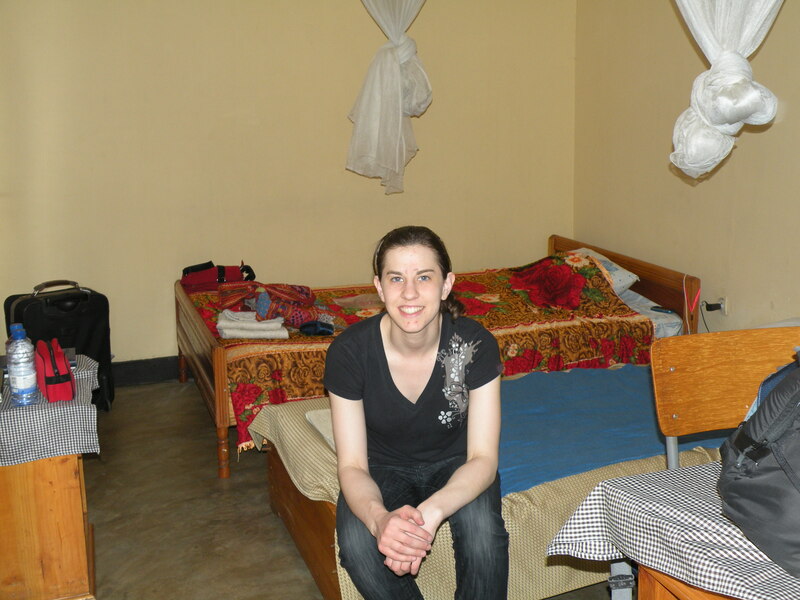 We arrived to le Centre Saint Francois d’Assise where we settled in to our temporary home in Kigali. Then we departed for dinner. It was a good opportunity to continue the group bonding that we had begun on our lay-over in Ethiopia. We discussed university life, interprovincial rivalries, pop culture, the environment, demography, books, American politics, and technology – to name only a few topics. After a restful first night in Rwanda, we woke up and had breakfast at the Centre. Breakfast consisted of coffee, bananas, eggs, and bread with butter and honey. From there we headed to the Commission Nationale du Lutte Contre le Genocide (CNLG). Ernest provided us with an excellent educational overview of the genocide including the history preceding it and the academic schools of thought that emerged following it. He explained the unique features of the genocide – the rapidity of it, the “atrocities of proximity” and the particular forms of systematic extermination. He also drew parallels between this genocide and others, especially the Holocaust. Ernest highlighted several scholarly approaches to the genocide and exposed some of the limitations of each account. He encouraged us to recognize the accounts as touching on different aspects and to resist adopting one school of thought to the exclusion of recognizing the context and influence of the others. We also had an opportunity to visit the library at CNLG and to browse hundreds of books and studies related to the genocide. After lunch we headed to the Kigali Genocide Memorial Museum. We began our visit with a moment of silence at a mass grave where more than 250,000 victims are buried. Then, we saw a series of gardens. The first represented unity, the second division, and the third reconciliation. Next, we visited the indoor exhibits chronicling the genocide. We learned that Hutu and Tutsi were initially socio-economic categories designating how many cows someone owned. The colonial introduction of identity cards contributed to the racialization of the once socio-economic categories. We learned about the use of propaganda in promoting racist ideology, the role of the international community, and we got a glimpse at the extent of the atrocities committed. Studying genocide, I find it is important to maintain a vision of the good, the true, the beautiful and what is noble, honourable, and just… in order to grasp why genocide is such sickness and revolt, such dramatic deviation from what human life is about, and from the “vision of another better life” to which we ought to aspire with humility and without the conceit of trying to negate it, reshape it, or transcend it. There was a room filled with the skulls and bones of victims. Looking at those skulls and bones, I thought about my own skull and my own bones. Then I thought about how these bones and skulls fall short of truly representing the victims. What skulls and bones do emphasize is equality, but what they deemphasize is individuality. And so I reflected a bit on souls. Seeing a centre display with rosaries and identity cards among the skulls made me think about the dynamism of the life that once animated those bodies that were so violently destroyed. Life is fragile. People are mysterious. A Holocaust survivor once said that it doesn’t make sense to compare genocidal killers to animals since animals don’t commit genocides. What does genocide tell us about human nature? How can we account for such diversity in human action? What does it mean to be human? How do we regard human life? This concludes some hasty and initial reflections of Day 1. In gratitude for their support of this trip, this post is dedicated to my parents and to my grandfather. Amanda beautiful article!. I am glad that it was such a powerful experience, you are so lucky! I sent you a hug! Great job describing the begining of your journey and the thought provoking material you were exposed to. You write beautifully and I am so happy you returned home safe and have another amazing life experience under your belt.